Samsung is BACK, with the latest and greatest – the S8 and S8 Plus, are a revelation. The wraparound design makes the screen the centrepiece of the phone, the Infinity Super AMOLED display pops out with its vibrant colours and high screen to body ratio. Compared to the previous S7 edge, the new phones actually feel slimmer, and easier to hold, thanks to a taller aspect ratio, and a better edge build. They are beautiful phones and blows away the competition. To achieve this, Samsung removed the non-essentials on the front of the phone. The branding, the home button / fingerprint sensor combo, have all been deemed excess to requirements. The smaller S8 managed to achieve a bigger display than an iPhone 7 Plus, in a smaller footprint, and yet, still retaining the 3.5mm jack. And that’s worth applauding. Now they just have to ensure that the phones do not explode and this would be a homerun. The previous generation Galaxy S7 and Note 7 have been great phones and many top features have been retained. 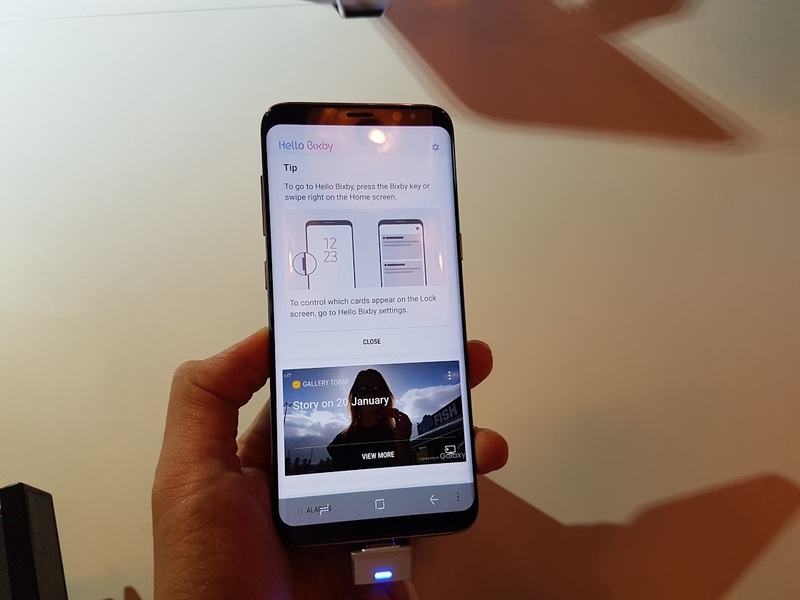 The IP68 waterproof feature, IRIS recognition, and compatibility with the other great Samsung products like Samsung Pay and GearVR are still on the cards. I am not too sure how useful Bixby would be, which is the other big star of the release, but there’s Google Assistant as an option as well. 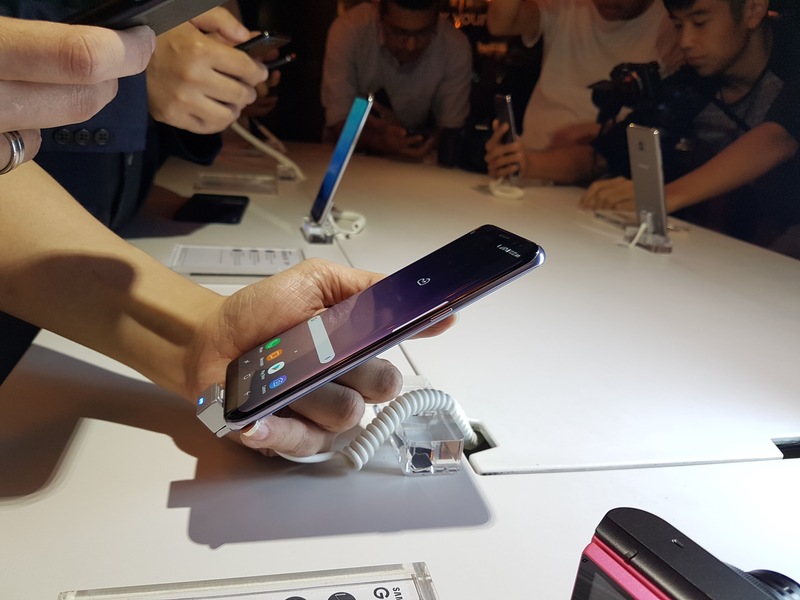 Preorders with the local telcos – Singtel, Starhub, M1, is expected within the week, and with a ship date of April 21. As you would expect from a flagship phone, the specifications do not disappoint.